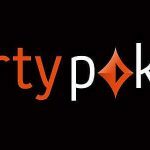 The groups have been decided for next week’s PartyPoker Premier League V in Vienna’s Montesino Casino as the 14 definite starters get ready for the $125,000 buy-in event. All that is still to be determined for this eagerly-awaited tournament is who will join each group from this weekend’s qualifiers to give us our star-filled 16-player field when play gets underway on Wednesday for seven days of action until April 10. 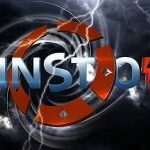 Mouthy Team Party Poker Pro Tony G, of Lithuania, has been placed in Group A alongside the likes of American Phil ‘The Unabomber’ Laak and English hopeful Luke ‘FullFlush’ Schwartz, while Group B will see French Team PokerStars Pro Bertrand ‘ElkY’ Grospellier face up to fantastic Finn Patrik Antonius and States star Scott Seiver, among others. 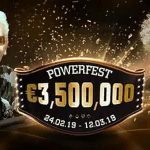 Certainly, among the best poker pros in Europe will come up against some of the leading stars of the USA, although it is slightly disappointing to see just one woman make the starting line-up. 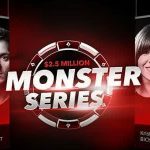 Mind you, Brooklyn’s Team PokerStars Pro Vanessa Selbst – a one-time World Series of Poker (WSOP) bracelet winner – could still well be joined by Canadian Xuan Liu and Lock Poker Elite member Melanie Weisner, of Houston, via the qualifiers, so there is still hope of there being a trio of ladies to grace the table in Austria. It would also be good to see a Canadian in the starting 16, so I have my fingers crossed that Toronto’s Liu – whose biggest live tournament cash came back in May of last year when she pocketed $524,705 for finishing third in the €5,000 buy-in No-Limit Hold’em main event at the European Poker Tour (EPT) San Remo – can secure one of those two qualifying spots. The stellar field will be competing for their share of a huge prize pool, with the eventual winner also collecting a $25,000 seat at the World Poker Tour (WPT) Championship at The Bellagio in Las Vegas come mid-May. 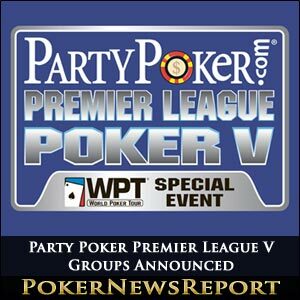 Just in case you still don’t know, the leading three points scorers in each group will make the eight-handed final table, while the fourth and fifth placed players will match up in several heads-up games to determine the last two qualifiers. Vienna is without doubt the place to be over the next few weeks as the Premier League will, of course, run alongside the PartyPoker.com-sponsored World Poker Tour (WPT) festivities – including a €3,500 buy-in main event from April 10 to 15 and the Party Poker Big Game VI on April 11 – in the Austrian capital.